Should You Let a Bot Manage Your Instagram Account? Doesn't it feel like most people are falling a little too much in love with automation just because it's faster and easier? 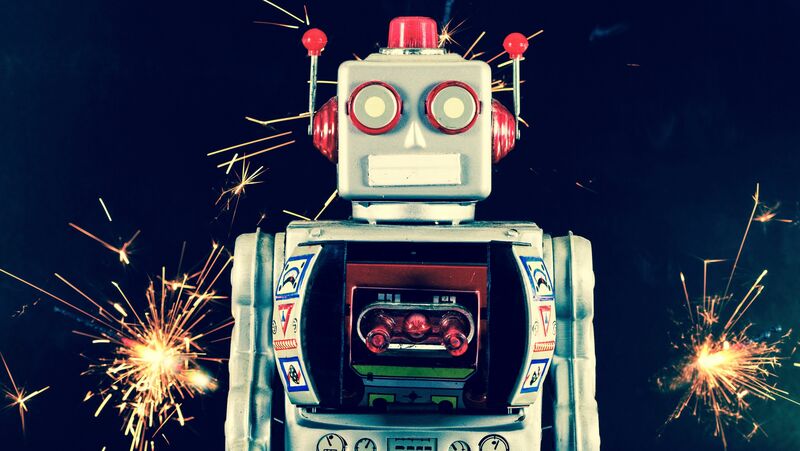 Sure, automation can save you time and mitigate the grind associated with repetitive tasks. But does it produce better results? Can a bot truly be effective at replacing human interaction? We wanted to see the best way to build an engaged audience on Instagram, so we decided to test outbound automation against human engagement -- and see which one got better results. What Do We Mean By Engaged Audience? An engaged audience contains people who actually care about what you post. What’s the point in running up a large follower count if the people on that list don’t engage with your content? It’s easy to artificially inflate your follower numbers, which is impressive at a superficial glance -- but it doesn’t indicate that your content actually has any impact. An engaged audience contains followers who like your posts, comment when you add something, and respond to your comments. It’s about creating a loyal following that opens up conversation and opportunity for all parties involved. 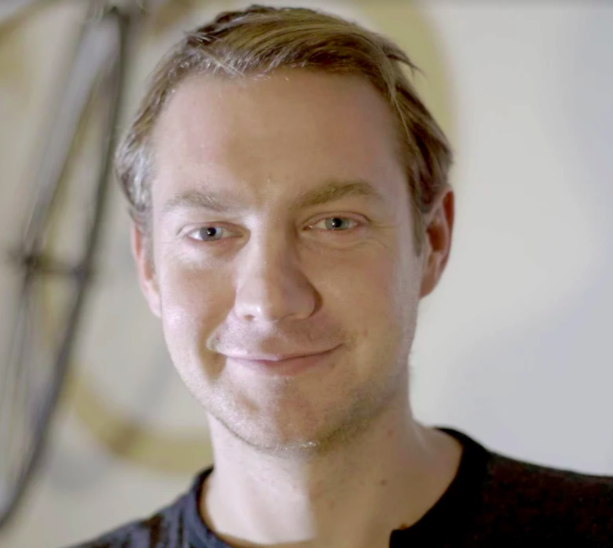 I teamed up with Fouad Tolaib, Founder of Jolted, to develop the framework for the experiment. The automated account will have more followers. A bot’s ability to reach more people would be more seamless than a human’s. 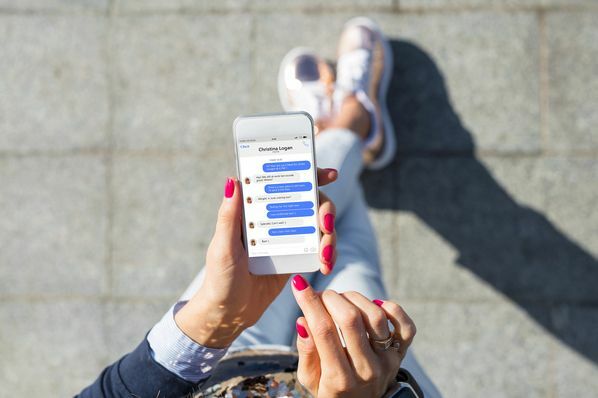 Automation currently isn’t sophisticated enough to be as effective at connecting with an audience peer-to-peer. The second account, @work_live_see, was automated. Each account contained the same profile description. We posted the same content at the same time on both profiles each day, for one month. Every post contained the same hashtags to drive inbound engagement. All of the results over 30 days were tracked by Minter.io. All outbound engagement was done by a human. We defined "human" by using organic engagement -- that means a real person commented on and liked other Instagram posts from this account. All outbound engagement was controlled by Gramista’s automation software. We allowed it to log in on our behalf, set specific hashtags to target, applied restrictive filters, set the algorithm on ‘auto like,’ and gave permission for the bot to leave a certain amount of generic comments. Thirty days later, we found some surprising results. The average post engagement rate -- which we calculated by taking the sum of likes and comments, divided by the number of posts on a profile, then divided by followers -- on our organic engagement profile was nearly 3X higher. The Loser: Bots. The Winner: Humans! In addition to a significantly higher engagement, the organic engagement profile had over 2,000 more likes, and the number of comments was 41% higher. 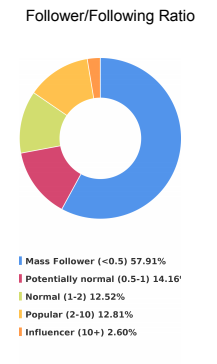 The demographics of followers also skewed significantly. 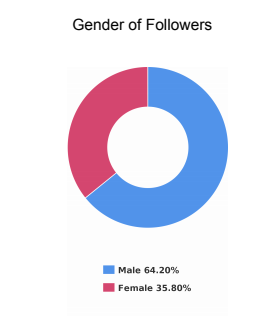 Female followers of the automated account were just 35.8%, compared to 47.8% on the organic engagement profile. 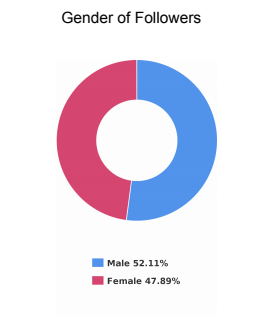 At last check, Instagram users overall are predominantly female. 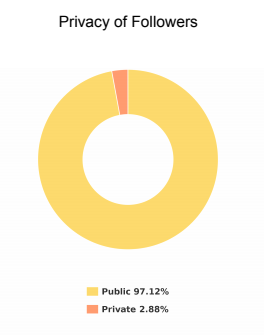 The number of private users that followed the organic engagement profile was also close to 3X more. The top country of origin for followers on the automated profile was India (28%), followed by the United States (13%). For the human-run account, U.S. was first (22%), and Italy second (8%). On the organic profile, India was sixth, comprising 4% of followers. We then looked at the number of popular, or influencer profiles. 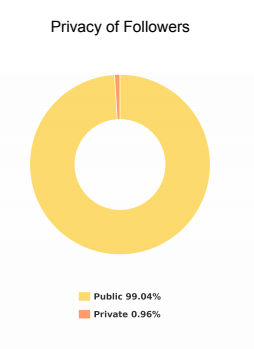 Minter.io defines "popular" or "influencer" according to a user's follower-to-following ratio. 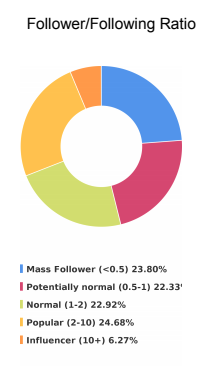 The more followers that user has, compared to the number of users they follow, the more influential they are per this metric. Popular and influencer profiles comprised 30.95% of the organic engagement profile's followers, compared to 15.41% on the automated profile. Interestingly, despite posting uniform content on each profile, the most engaged-with photos on each account were also different. A small harbor in Colombia. A shot of Macchu Picchu. A little boy and woman walking in Viacha, Bolivia. A shot of the moon hanging over a mountain range in La Paz, Bolivia. A man in sunglasses posing next to a bunch of flags left at the top of a mountain. An archaeological site in western Bolivia. The best performing hashtags on the human-operated profile were #ilovetravel, #neverstopexploring, and #travelgoals, while the automated profile’s top three were #neverstopexploring, #digitalnomads, and #ilovetravel. The only two hashtags to crack the organic profile’s top ten that didn’t make it on the automated results were #instatravel (just over 1,500 interactions) and #backpack (1,450). Alternatively, #nomadlife (900 interactions) and #travellife (910 interactions) made the automated profile’s top ten hashtags, but not the human-run profile's. The key point here: Automated software may not necessarily detect all hashtags generating a high number of interactions. Minter.io also determined, based on the organic profile’s data, that the best time of the week to post for engagement was Monday night and Tuesday evening. An aggregate report from CoSchedule confirms that the best time to post is typically Monday mornings and evenings. However, on the automated account, the greatest time for engagement was on Saturday afternoons. 1. Automation Leads to Less Engagement. The end number of followers on the automated profile was 799, compared to 621 for the personally managed account. Automated tools will run up the follower count faster and get you off to a quicker start, but organic engagement creates a more engaged audience. Generic comments and rapid liking does not create the same kind of human connection that followers actually crave. The organic profile generated a significantly larger amount of engagement with the average rate being nearly three times more. For the organic profile, the potential reach of content (regramming, future partnerships, etc.) was also higher as we looked at the number of followers who were influencers or popular. Responding to each comment with a personal touch made for more engagement with private Instagram users as well. 3. 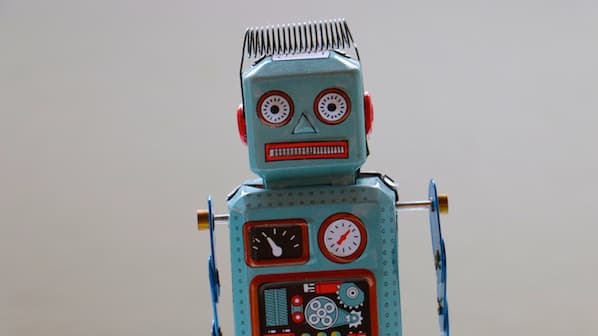 Automation Connects More With Bots Than Humans. We found the automated profile had more automated followers. Yes: bots following bots. In other words, these followers were either scheduling a large amount posts of posts, or leaving very generic messages. That's likely due to a bot's inability to recognize the difference between generic comments and real responses. However, humans will naturally connect more with a thoughtful response and ignore a meaningless “awesome!” comment. So, How Do I Build an Engaged Audience? From our observations, we believe tailoring your content to your target audience, engaging naturally and consistently with both followers and non-followers, and using targeted tags (up to 30) in your post’s first comment all contribute to an increased rate of post engagement. Automation can supplement the speed of your growth, particularly in regards to follower count, but it should not be relied on as the only strategy for Instagram. 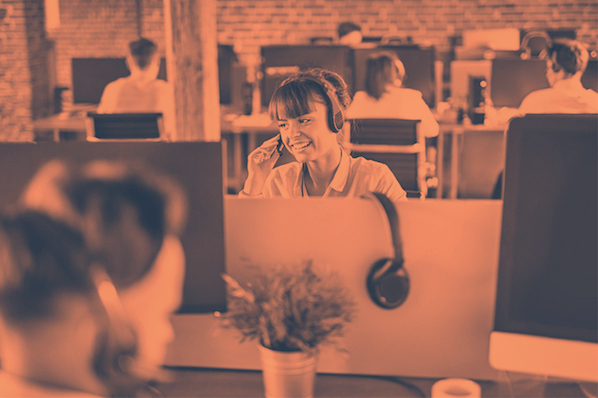 If you’re tight on time, a combination of automated and manual outbound engagement might work best. However, when it comes to commenting on other people’s content, there’s no better alternative than a human responding with something specific. This has proved to be true in our case study and resulted in a higher conversion (non-follower to follower) ratio. After all, this is social media - it’s about human connection and social sharing. If we all just have bots running our profiles and interacting with each other, what’s the point of doing it at all?